BMW has redefined the sports car with the new BMW i8. 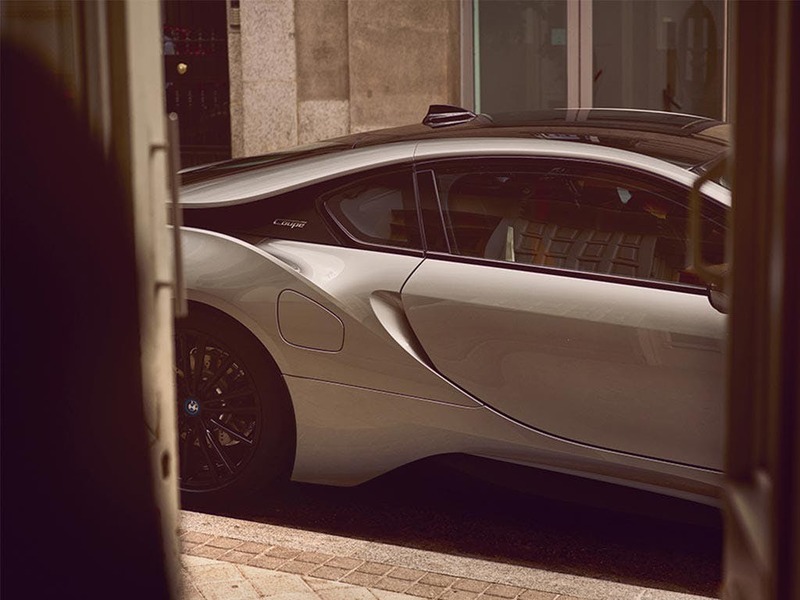 Combining jaw-dropping aesthetics, the latest hybrid technology and exceptional engineering, the BMW i8 is capable of reaching 0-62mph in 4.4 seconds. The way the i8 looks, the way it feels to drive and the raw speed is changing the way we think about electric cars. The new BMW i8 truly is the ultimate driving machine. Visit your nearest dealership Bedfordshire, Cambridgeshire, East Sussex, Hampshire, Hertfordshire and London for more information. 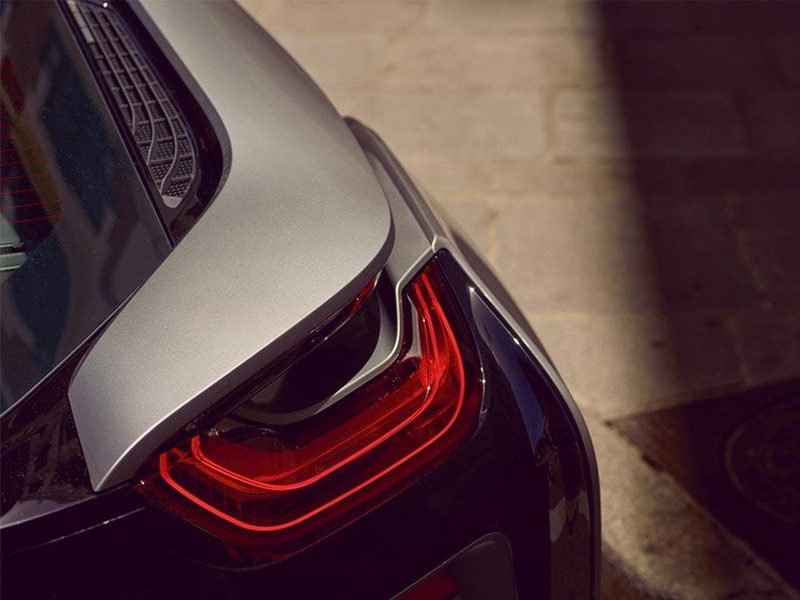 Every detail matters, view the BMW i8 Coupé technical specification. 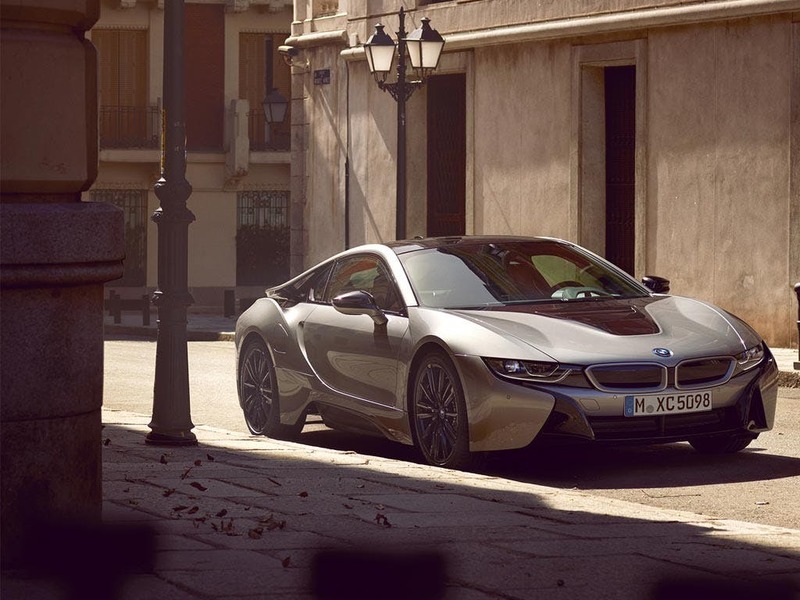 Download the latest i8 Coupé brochure. So much of the new BMW i8’s revolutionary performance can be traced to its intelligent construction. Through the use of lightweight carbon fibre and the beautiful aerodynamic design, the i8 is able to deliver the same speed and thrills as any other sports car whilst remaining so incredibly efficient. Distinctive dihedral doors open vertically, blending into the sleek body and becoming an iconic part of this car. Made from aluminium, carbon fibre and thermoplastic, they are 50% lighter than conventional doors and are incredibly easy to open. 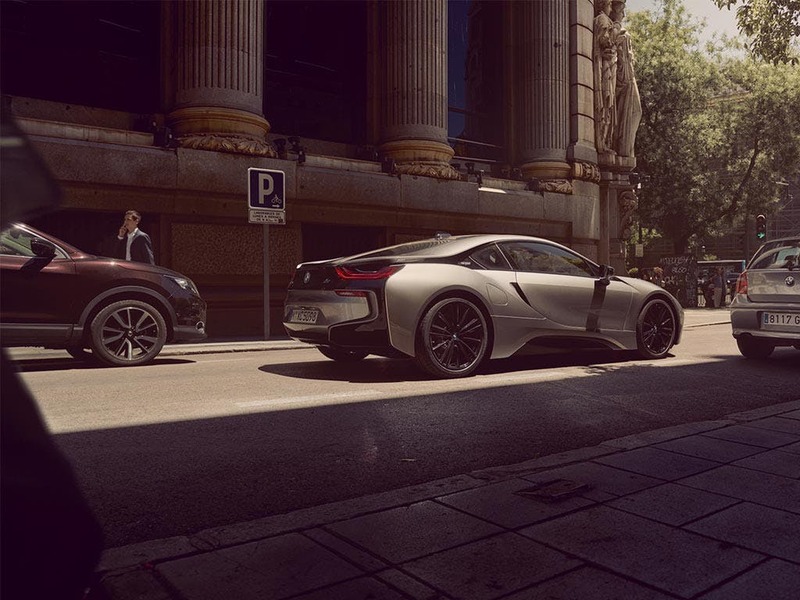 The new BMW i8 is so attractive because it combines the high performance of a sports car with the efficiency and advanced technology of an electric car. 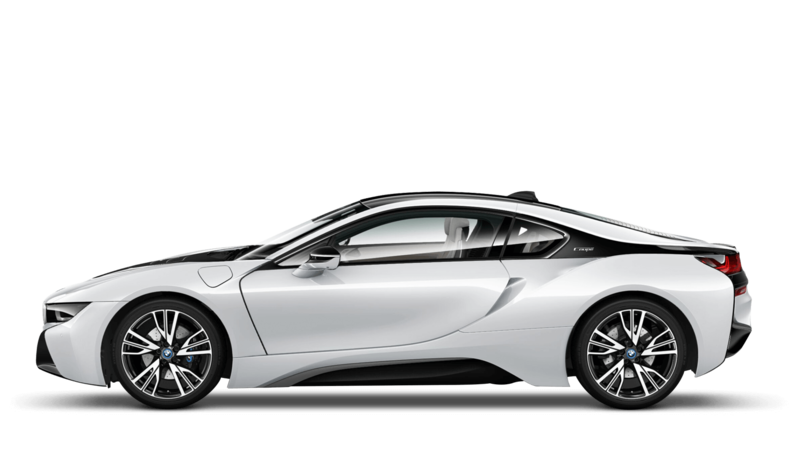 Blisteringly quick, the i8 can accelerate from 0-62mph in just 4.4 seconds and will continue on to a top speed of 155mph. The highly advanced plug-in hybrid powertrain combines a TwinPower Turbo 1.5-litre petrol engine with an electric motor, making it possible for a car to be this fast and still achieve a combined fuel consumption of 134.5mpg. 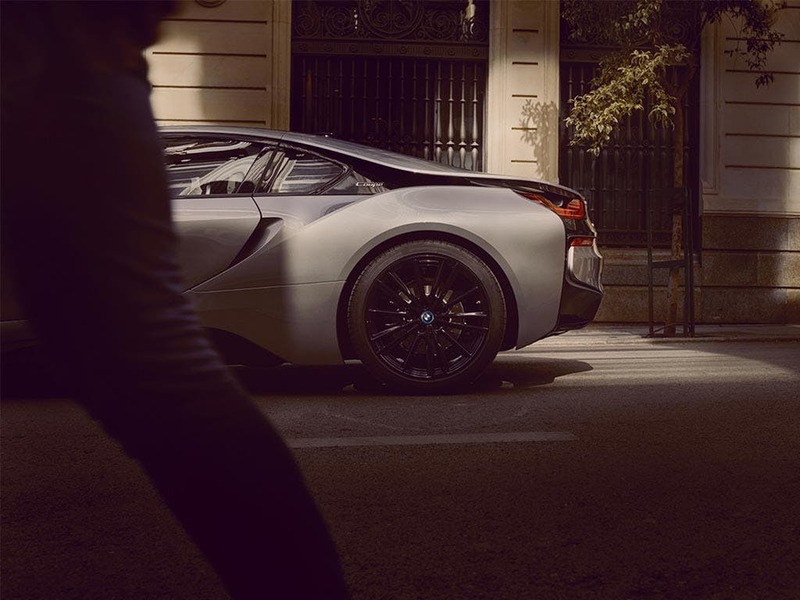 Driving the new BMW i8 puts you in control of the innovative ConnectedDrive system. BMW’s technology package is full of services and applications that will enhance your driving experience. BMW i Navigation is a sophisticated navigating tool that will consider your battery level, driving style, traffic conditions and the topography of the potential journey before calculating the most efficient route. The BMW i Remote app connects you to your car so you can monitor key information. You can even lock it or change the temperature via your smartphone. Fuel efficiency isn’t just cheaper, it’s more convenient for your everyday life. With BMW home charging you never have to visit a filling station ever again. All you have to do is plug in the cable and recharge the battery as you sleep. The alternative option is utilising the BMW i Wallbox to recharge. Not only is it quicker to use the wall-mounted charging station to recharge, but it is more efficient and increases the charging capacity. Installation is provided by BMW, who will arrange your supply with a renewable energy provider. 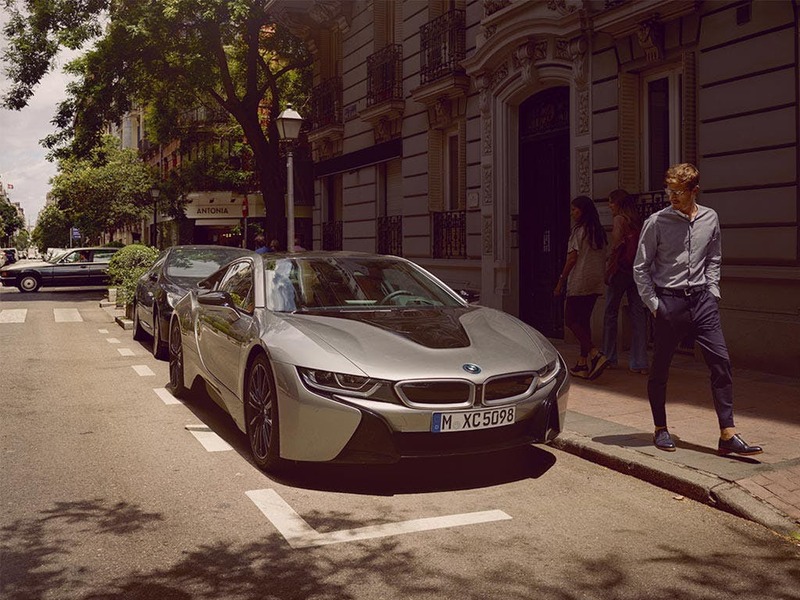 Discover the future of sports cars with the new BMW i8. Visit your local BMW dealership in Bedford, Brighton, Borehamwood, Cambridge, Farnborough, Hailsham, Hindhead, Kentish Town, Ruislip, Stansted, Watford and Worthing for a test drive. of Barons And Chandlers BMW customers that bought an BMW i8 Coupe would recommend to their friends and family. I'd recommend Barons BMW Watford because it was a good experience and I was made to feel a valued customer. The experience at Chandlers BMW Worthing was great because Matt in sales ensured the vehicle was ready to test drive, ensuring the batteries were precharged and all questions answered and a fair price. Explore the i8 Coupé specifications.